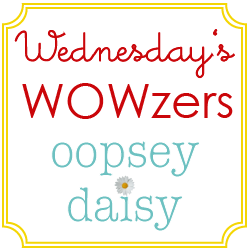 It's Time For Wednesday's Wowzers! Hello my friends! Is anyone else ready for spring?! 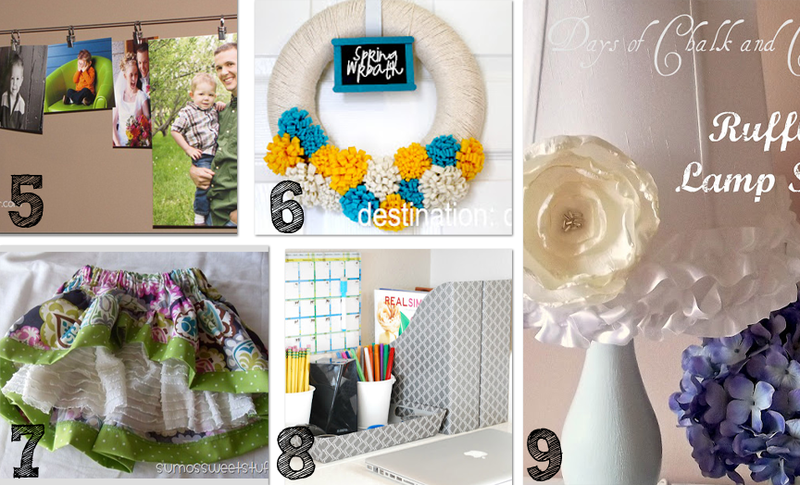 Lately, I find myself browsing inspiration for spring and summer. I'm ready for some sunshine! 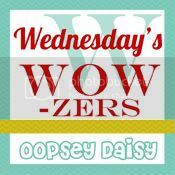 Wednesday's Wowzers is brought to you today by Avery's Loft. Remember how sweet Amy sent me an amazing cowl a few weeks ago? I have loved my cowl during these chilly days in Colorado! And I am dying to try out some more of Amy's lovely crochet goodies! Lil' Luna's Quote Gallery Wall. Congratulations, Kristyn! 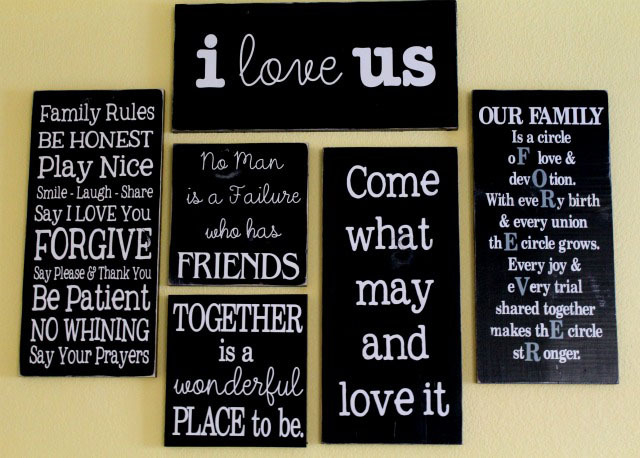 I absolutely adore this wall and would love one for my craft room! 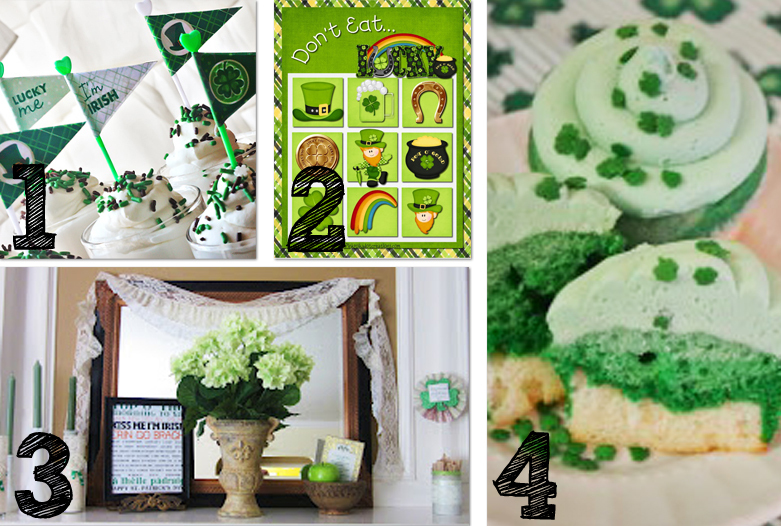 1 - Lucky St. Patrick's Day Printables @ How Does She? For the record, most times I have to start snacking while browsing links! Your recipes look so yummy! Thanks for the feature Alison! I’m off to visit some of the other features now 🙂 Thanks for hosting! I love Wednesdays! 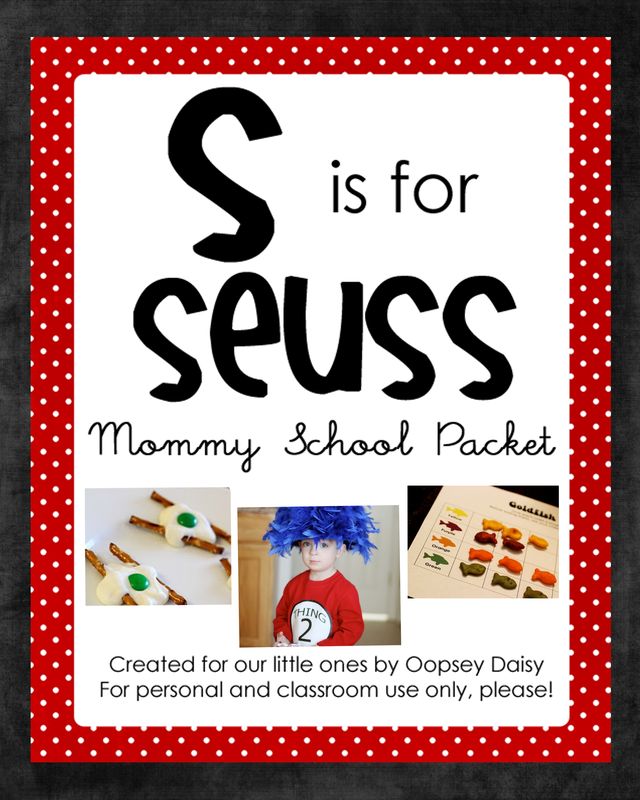 So fun to see all of the creative ideas! thanks for the party, chica!!! I am so ready for Spring, too! Thanks so much for hosting. Thank you so much for adding my ruffled lamp shade to your features! It was so exciting to check in and see it with so many awesome projects! Thanks for including me in your wonderful featured! I’m honored! 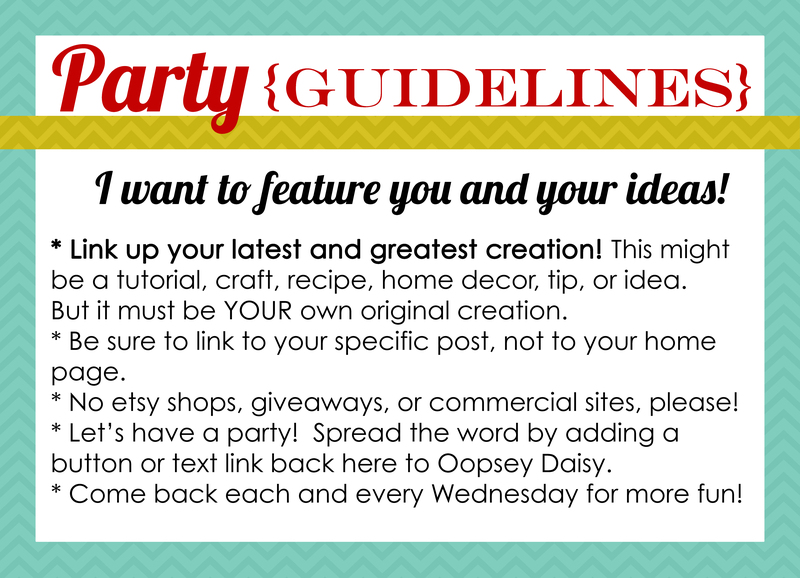 Love your link party! What a fabulous list of features! 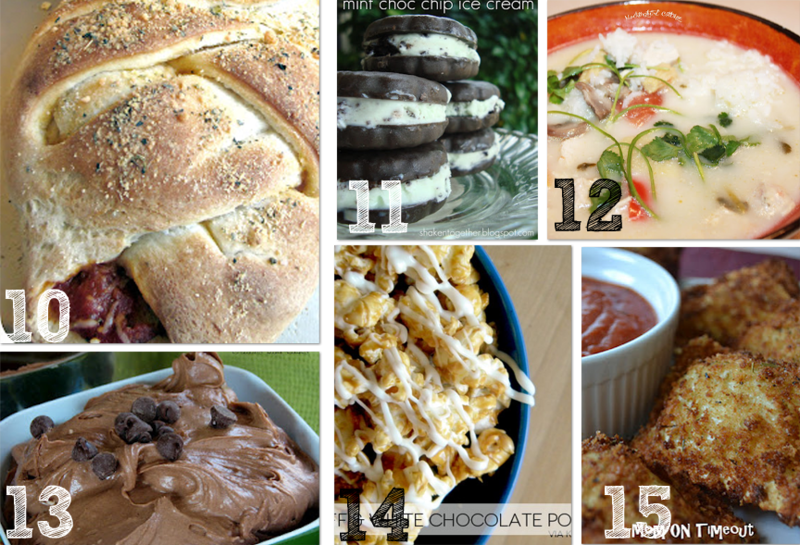 Thanks for including our brownie batter dip! Thanks for featuring the Shamrock Shake Cupcakes!! So honored!!! Love your site so much fun here!!! Thanks for featuring the Don’t Eat Lucky Game! It is such an honor. 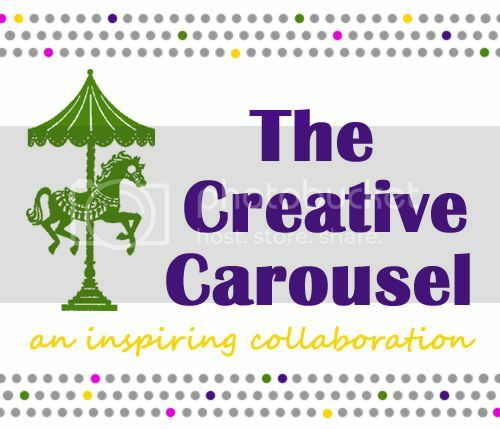 I have followed your blog for a long time now and love all your ideas and your fun attitude! Thanks again. 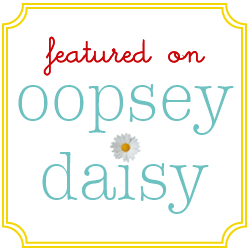 Thanks so much for hosting…it’s my first time here, and I am so glad I found Oopsey Daisy! I added your hop to my craft list, and can’t wait to come back for a visit! Thanks for hosting Alison! Unfortunately I’m not on a social connections like facebook or twitter only GFC; so I hope I can get email updates from you. I just LOVE your blog. Have a wonderful day! This has been a great party. Thanks for sharing. Thanks for hosting!!! I’m your newest follower!